Nursing practice is intrinsically holistic, yet many nurses do not see themselves and their nursing careers through that particular lens. 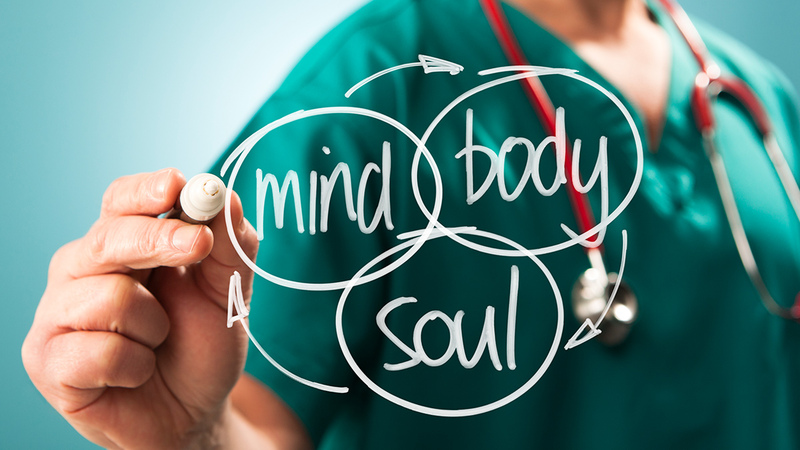 It’s generally agreed that “holistic” refers to the idea of the mind, body, and spirit being equally important and in need of attention and healing, and this worldview is reflected in a number of well-known nursing theories. The task-based aspects of many nursing positions can make it seem almost impossible to provide holistic care beyond the nurse’s to-do list, yet it is indeed possible to imbue your nursing practice with simple holistic tools and techniques. One aspect of holistic nursing care that can always be considered is the patient’s emotional wellness. If a patient suffered a myocardial infarction, we clearly focus first on mitigating cardiac damage and preventing further injury and complications, but there’s often so much more to explore. Beyond the patient’s physical well-being (cardiac enzymes, heart sounds, etc. ), we can explore the emotional aspects of his concerns, fears, and psychosocial needs. A nurse familiar with techniques of motivational interviewing, emotional and relational intelligence, or positive psychology can empower the patient to face the aspects of his MI that are much deeper than the physical -- this is holistic nursing care in action. Aromatherapy, reflexology, conscious breathing techniques, biofeedback, visualization, music, and other interventions can all help to mitigate a variety of symptoms. In fact, some facilities have policies and procedures for such practices. Holistic nursing may also involve nutritional assessment, patient teaching, and lifestyle enhancement. Holistic approaches to symptom management can be learned both formally and informally. Continuing education opportunities abound for nurses who seek holistically oriented skills and knowledge – seminars, webinars, trainings, podcasts, articles, and blog posts all offer valuable information for the nurse seeking to develop their holistic nursing nature. Informally, the curious nurse can apprentice with a holistic provider (chiropractor, naturopathic doctor, acupuncturist, etc. ), study independently, or otherwise learn new skills and knowledge outside of a structured learning environment. For some nurses, holistic practices may fit like a glove and be readily used with willing patients. Finding the time to practice visualization or conscious breathing with patients may not always feel achievable, but these skills are excellent additions to any nurse’s toolbox. Whether formally or informally learned, holistic practices can benefit both the nurse, the patient, and the institution at large. Holism can be a way of life, a way of working, and a way of learning about -- and nursing -- the world around us.